If you are thinking of selling your home, D Town Listings has got you covered. Click here for your complimentary property assessment. 1.) There are so many real estate agents in Denver, how should I choose one? This is a great question, and with so many realtors in the Denver Metro area, it is important to do your research! 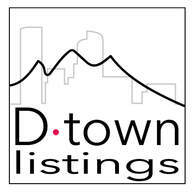 D Town Listings is a strong team of committed members, with 5 star client ratings. Amie is an expert in the Denver market, as she was raised in the area, and coming from a design background has a completely unique way of selling client's homes for the highest price per square foot. The reasons we can assure you that Amie will be your best possible choice are abundant and wide spread, and we would love to tell you ourselves. 2.) What steps should I take to prepare my home for selling? Rest assured that Amie and her entire team will help you take care of getting your home prepared for selling, as not taking the appropriate steps could put you at a great disadvantage. Our style of selling will take care of staging and marketing needs, so that you can simply reap the benefits of selling, hassle free. 3.) How much is my home worth? This is a fantastic question, your home worth is based on multiple factors including but not limited to: Square footage, Number of bedrooms and bathrooms, Upgrades to kitchen, Window quality, Roof age, Lot features, Location, Style of residence, and Flooring types. With all of that being said, your best way to find out is through a top realtor such as Amie at D Town listings. Amie would love to offer you a complimentary property assessment and consultation in order to answer this question specifically for you. 4.) How long will it take to sell my home? This question is dependent on many things, specifically the expertise of your chosen realtor. At D Town listings, the average time between putting a listing on the market and having the listing go under contract is dependent on the price of the home. For properties under $700,000: 2 weeks, with the average time between going under contract to closing day is just about 30-45 days. For properties $700,000-$1,000,000: 4 weeks, with the average time between going under contract to closing day is just about 30-45 days. We take pride in making your selling experience as fast and easy as possible. 5.) Should I list my home at a higher price point in order to leave room for negotiations? Amie is dedicated to receiving you the best possible cash amount for your home. This means listing your home at the right price, which is one of D Town Listing's area of expertise. In order to appropriately answer this question, set up a complimentary consultation. In the discussion, Amie will answer your question through a complimentary property assesment, in addition to reviewing the data on recently sold homes through a Comparative Market Analysis.